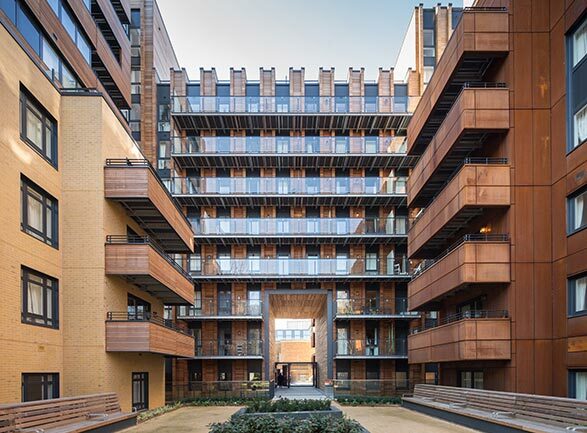 FABRICA took home the prize for this year’s Best Apartment Building at The Sunday Times British Home Awards. Faced with some tough competition from other major developers, FABRICA won the award with Stephen Marshall Architects who designed the winning development, City Wharf. Situated moments from Old Street station on Wharf Road this development sits next to the Wenlock Basin, an extension of the Regent’s Canal. Nestled between the trendy boutiques, bars and cafés of Islington and Old street this development mixes together a tranquil waterside lifestyle with the convenience of central London living. Awarded for offering apartments with flexible living and lifestyle benefits, City Wharf is reviving this former industrial setting and is helping to establish the area as one of London’s newest residential destinations. Stephen Marshall Architects were the designers behind this award-winning development, giving it a striking steel façade that references the site's industrial history. City Wharf comprises four separate buildings with studio, one, two and three bedroom high specification apartments which have taken inspiration from the site’s industrial heritage.